That's the third out of the seven wallpapers. Enjoy~! i beleive very soon this is going to be highlighted....totally cool! amazingly well coordinated, the shapes and the colors i mean. I like this better than the first one; has more of a celestial feel. Fav for sure. I can't wait to see even more of these! Great work. I love the bright colours for the backgrounds. Thanks for sharing! 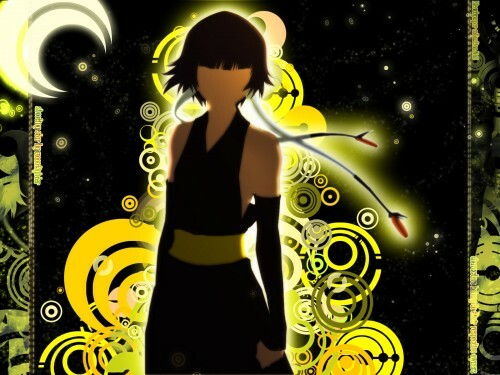 The yellow on black is nice...I like all of your wallpapers....good work!